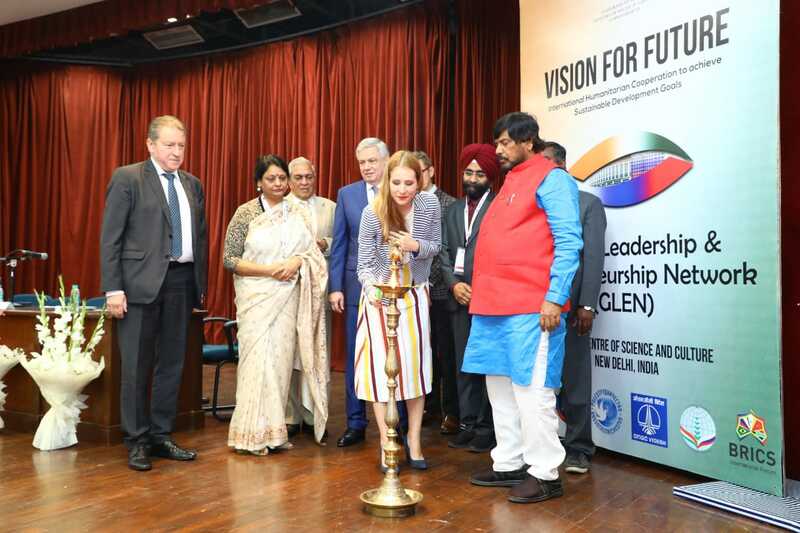 Forum “Vision for Future”, organized by BRICS International Forum, along with the Russian Centre for Science and Culture, was held in New Delhi 12-14 March 2019. A three-member delegation from Serbia took part in the Forum: Masa Miskovic, teaching assistant at the School of Law, University of Belgrade, Irina Nikolic, team leader in Air Serbia, and Dejan Sivcev, lawyer. 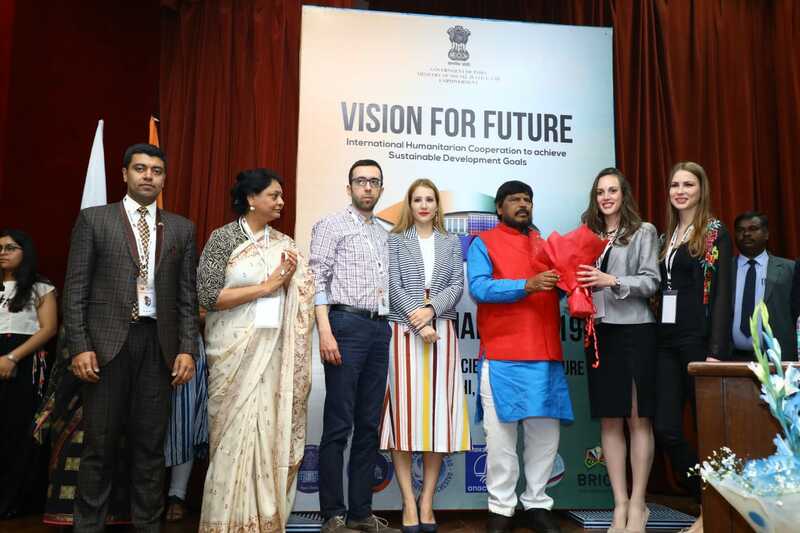 The chief guest at the opening ceremony was the Indian Minister of Social Justice and Empowerment Shri Ramdas Athawale. Besides Ambassadors of Russia and Zambia, and diplomats from several other countries, Mrs Jovana Maric, representative of the Embassy of Serbia, also greeted the delegates. 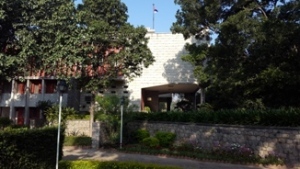 The Serbian delegation also paid a visit to the Embassy of Serbia, where they got a chance to interact with Ambassador Maric, who shed light on Indo-Serbian relations and possibilities for further deepening of cooperation between the two countries. 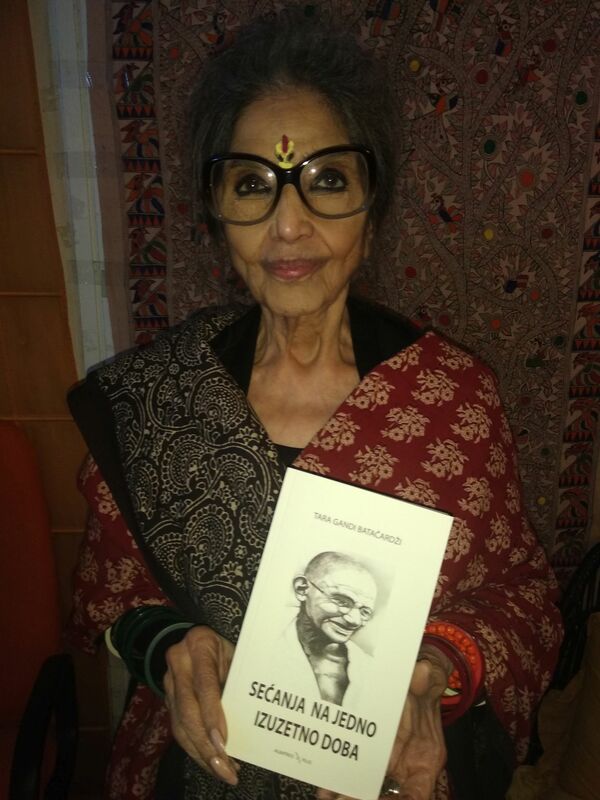 Ambassador Vladimir Maric handed to Tara Ghandi Bhattacharjee, a granddaughter of famous Indian leader Mahatma Ghandi, a copy of her book "Reflections of an Extraordinary Era", translated in Serbian. The book was translated and published in our country at the initiative of Ivica Dacic who met Ghandi Bhattacharjee during his visit to India in May last year. Ambassador Maric invited Ghandi Bhattacharjee to come to Serbia and promote her book.